Energy, enthusiasm, friends and fun overtook The Academy today as we hosted our 3rd girls only football festival. This week it is national Women's Sport Week and we are delighted to have celebrated today by having around 300 girls from local schools attend our football festival. Pupils from North Edinburgh gathered at The Academy where they took part in small games, drills and skills. This included the chance to have a penalty shootout with Hibernian FC Ladies goalkeeper Hannah Reid! 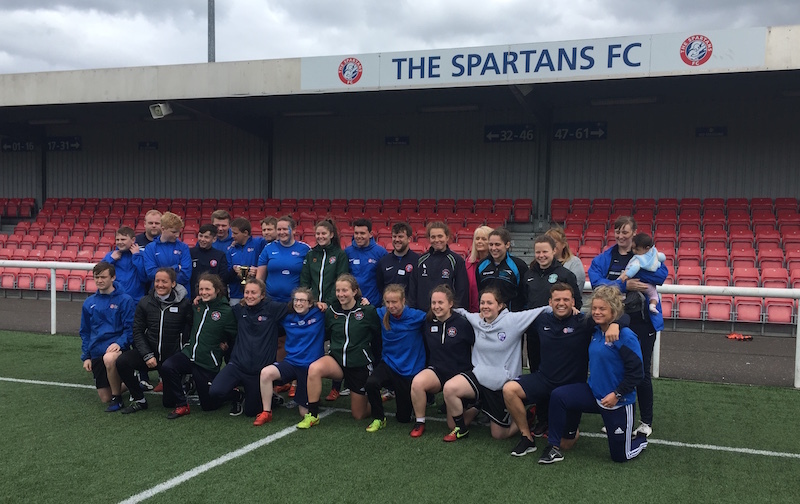 Coaching support included volunteers from Edinburgh University Women's Association Football Club and Spartans Women's Football Club. We were also delighted to have role models Cailin Michie (Hibernian and Scotland U-19) and Charlotte Parker-Smith (Scottish University squad) helping out and inspiring the girls. Our aim was to give primary school aged girls the opportunity to enjoy football in a fun and supportive environment surrounded by strong positive female role models. All participants were given information on how they can get involved in football activities throughout Edinburgh. A recent UEFA study highlighted that confidence is one of the major benefits that girls get from playing football. 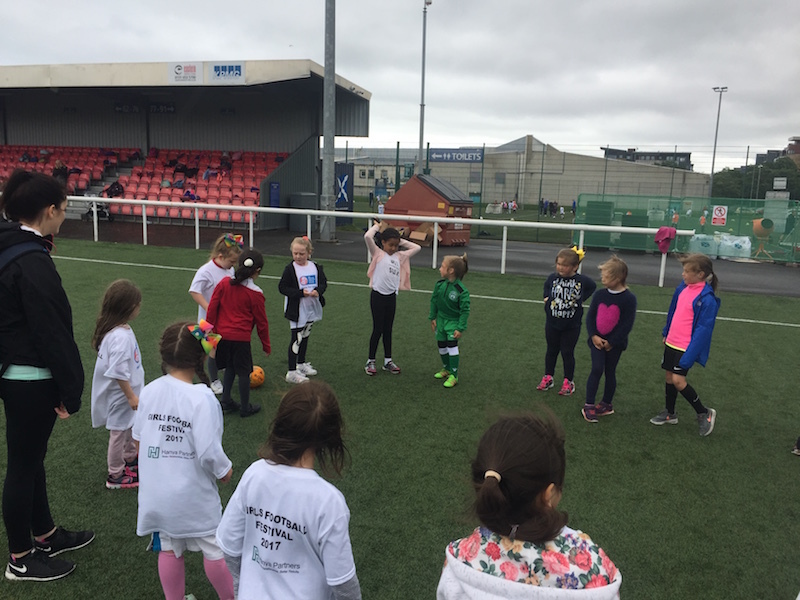 Nichola Sturrock, head of women's and girls football at The Academy comments that "taking part in sport with friends in a fun, relaxed atmosphere helps develop confidence and it's great to be able to support the development of grass roots football for all in our community." This year’s event was supported by Hanya Partners, Fish is the Dish, Morrisons and everactiv. With their support we were able to give every player a goody bag, t-shirt, snack, healthy recipe ideas and provide some great spot prizes. An extra big thank you to all our volunteers on the day including our own Academy youth ambassadors and volunteers from State Street.